Rich in vitamin C, D and E, Pine Nuts (known to some as Pignoli Nuts) are great immunity boosters and help build stronger bones! Pine Nuts are a great way to add some iron and antioxidants to your daily meals or snacks. And just like Almonds and Peanuts they are gluten free. 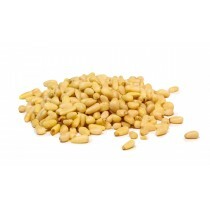 Buy bulk Pine Nuts by the pound at wholesale prices and save!